The holidays are a strange mix of quality family time, delicious food, fun gatherings, and a whole lot of stress. The combination of delicious foods and stress can be a dangerous combination at the best of times – especially so when you are trying to follow a specific eating plan, such as the Keto diet. Here are some tips to help you, so you can come out the other side healthy and relaxed! 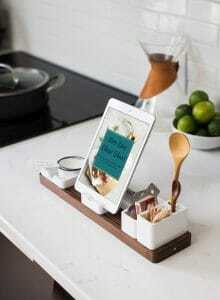 As we enter the holiday season, it is time to re-think your lifestyle and daily habits. 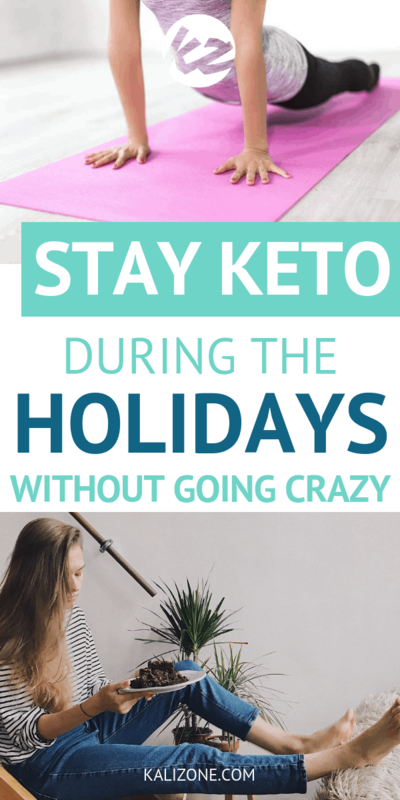 We have some great tips for substitutions for popular holiday recipes when you are on the Keto diet (How To Stick To The Keto Diet During The Holidays), and how to handle those holiday parties and dinners (The Ultimate Guide To Surviving Holiday Parties While On The Keto Diet). Next, let’s talk about what you do each day to stay on track – including being active. The first reason you should be more active during the holiday season is because it helps you to stay on track, whether you follow Keto 100 percent the entire time or not. 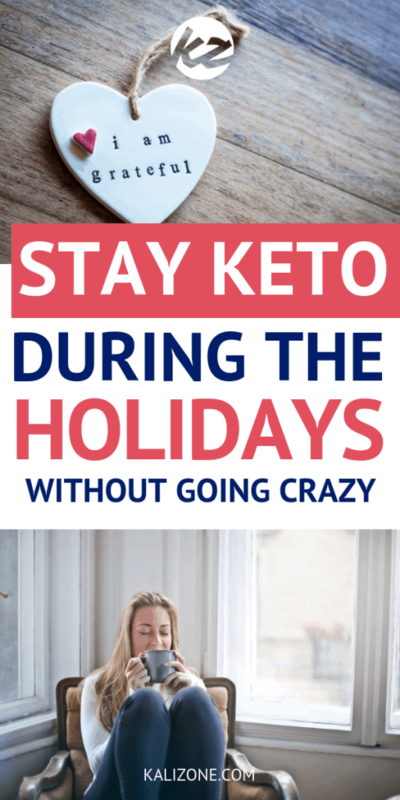 This is going to give you a little flexibility, so that if you either eat more Keto-approved sweets than you are used to, or have a few bites of a non-Keto food at a holiday party, you won’t have to stress too much about it affecting your weight or health goals. By being more active, you are already doing something great for your health and your body. Another amazing benefit for being active during the holidays is that you stay in that healthy mindset. It can be difficult when you feel like you are missing out on foods you used to enjoy, but not that you are following a Keto diet, it messes with your head a little. It is always a good idea to maintain a healthy mindset and remember why you are doing Keto in the first place. However, when that becomes a struggle, being active is the next best thing. You will feel like you are doing something good for your body, working out regularly reminds you that food doesn’t control you, and it helps on the day of holiday functions as you are in that mindset of doing whatever it takes to be the healthiest person possible. It is a good idea to start setting active goals for yourself now, or as soon as possible. This is going to get them ingrained in your mind, which will further encourage you to stick to them. Create a schedule that includes your fitness routine, whether you are combining cardio and strength training, going on weekly walks or hikes with friends, or attending a weekly yoga or Pilates class. All forms of movement are great for your body and get you into the right mindset to stick to Keto and other healthy goals throughout the holiday season. 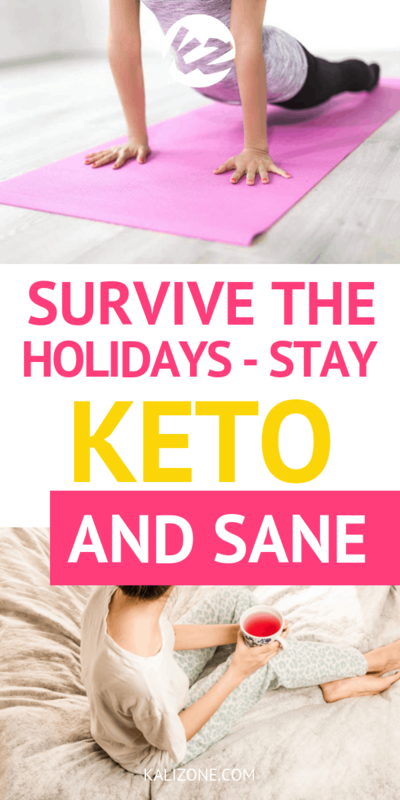 If you are struggling to stay on the Keto diet throughout the holidays, it is not just about what you can or can’t eat that might be the issue. Another thing to consider is that many people like to eat sweets (and a lot of non Keto-friendly foods) when they are feeling stressed. With higher levels of stress during the holidays, this can create quite the problem. What you need to do is find ways to de-stress without using food. Here are a few ideas. When you are dealing with high levels of stress, you need to get your body moving. You can start doing this by finding activities that provide some exercise, but nothing too intense. If you like high-impact exercise, that can be an option as well, but you don’t have to feel like you need a strenuous fitness routine just to ease up on your stress a little. High intensity activities can actually take you out of ketosis. Something as simple as yoga and Pilates can be a huge help. Yoga is great both at home or in a class, not only helping to strengthen and tone your body, but teaching you gentle breathing exercises and meditation techniques. Another great way to relieve stress during the holiday season is to write in a journal. This can help you not only to get your thoughts, worries, and fears out on paper, but it also provides a lot of clarity. This act alone is a wonderful therapeutic tool that allows you to see where your stress comes from, and find out a lot of hidden things about yourself that have never been highlighted before. When you are getting cravings for food not allowed on the Keto diet, take a few minutes to meditate and practice mindfulness first. This is often enough to reduce stress and prevent emotional eating, while it can also help you to get your head around what you are dealing with. Meditation can get you into a different mindset, where you are less concerned about food you think you need. Mindfulness is more something that you do on a regular, consistent basis, and can also be a wonderful tool for helping to relieve stress naturally. Make sure you are getting enough time to yourself! This is crucial for relieving stress and helping you get the time you need away from other responsibilities. It can be as simple as going for a walk, spending quality time with someone, or just taking a hot bath in the evening before bed to relax. If you are trying to get through the holiday season while remaining on the Keto diet, don’t just think about food and what you might be missing out on, but expressing gratitude. This means you are more appreciative and thankful for the good, positive things in your life, as opposed to only dwelling on the negative. Keep reading to learn how gratitude can help you when you are trying to deal with cravings during the holidays while on a diet. When you are on the Keto diet, being grateful throughout the holiday season makes it a lot easier to cope with having a different way of eating than what you might be used to. Instead of constantly thinking about what you are not able to eat during the holidays, focus on what you CAN. Every time you eat something healthy and delicious this holiday season, practice mindfulness to appreciate and be thankful for that nutrition that is going into your body. You aren’t thinking about how you can’t eat that sugar-filled dessert on Christmas, but are appreciative of the delicious ham and veggies you can enjoy, that are not only filling up your belly, but improving your health at the same time. 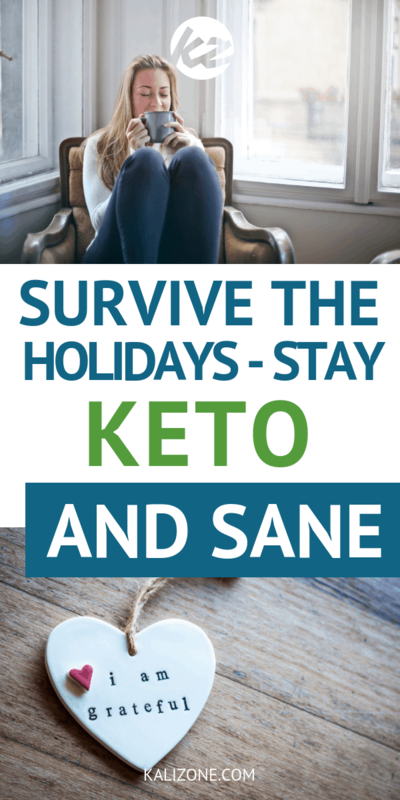 Did you enjoy Surviving The Holidays – Stay Keto & Sane At The Same Time?